Laverda 650 sport formula parts catalog. Some LAVERDA Motorcycle Manuals & Wiring Diagrams PDF are above this page. In 1947, Francesco Laverda, who lived in Breganz, a small town in the north of Italy, decided to start a motorcycle business. 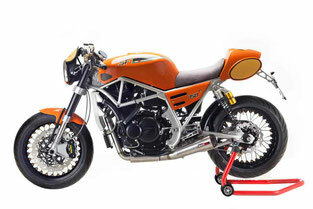 For this purpose, Moto Laverda was founded. Initially, it was planned to produce only mopeds and motorcycles with small-capacity engines. 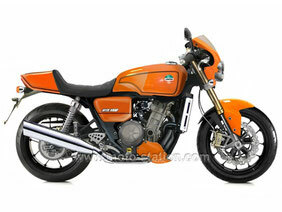 The first model of the company was Laverda-75 motorcycle. This Italian elegant model was soon improved and was able to take part in races such as Motogiro di Italia and Milano-Taranto. It also appeared on long road distances. 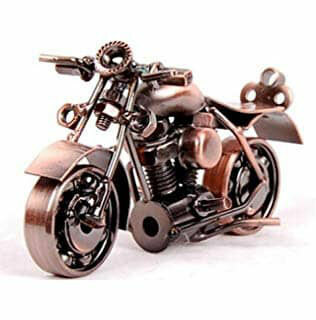 Specially for this purpose, a factory team was formed, which originally included four riders. At the very first competition, all four Laverda motorcycles reached the finish line, taking good places. Already then Laverda declared itself to the whole of Italy. In the subsequent period of 1952-1956 the company continued to achieve sporting success. The model range of the brand was also replenished. Two new cars with engine sizes of 75 and 100 cubic centimeters were produced. They really liked the audience. The popularity of the company's developments was growing. By the beginning of the sixties, the company had returned to its original plans. Only small-scale models were produced. An example is the fairly well-known Laverdino motorcycle, equipped with a four-stroke engine with a volume of only 48cc. Not gone unnoticed and a small scooter with the same engine volume. In 1961, the displacement of the produced models began to grow. On sale came the model with a two-cylinder engine of 200 cubic centimeters. It should be noted that, in principle, these were two cylinders connected to each other, each 100cc. The son of the founder Laverda, Massimo Laverda, also took a huge part in the company's affairs. In particular, he was confident that the company should switch to more powerful machines in order to take a more confident position in the market. Thus, a new model with an engine of 650 cubic centimeters was launched. It was enthusiastically welcomed by Italian buyers. Further - more, because the real success was waiting for a car with a motor in 750cc! It was exported to various countries of the world and was repeatedly copied, becoming a prototype for many sports models. Successful was the creation of a series of F with engines of 750cc. All motorcycles in this series were painted in a bright orange color. They remained on sale until 1976. In the same year, a presentation of the new racing model SFC took place, which for several years occupied consistently high places on the tracks in all sorts of competitions. On the postal address of the company came hundreds of letters from the fans of the brand with requests for the creation of even more powerful motorcycles. Therefore, it was decided to launch in production models with engines with a volume of more than a liter. This series is known for such machines as 3CL and Hota, but the best was the Laverda-1000RGS motorcycle - incredibly powerful, with an engine of 1000cc. It won the love of the general public. Equally popular were other sports models Laverda - 750SF and RGS. Pleased and motorcycles with a smaller liter - in 350-500cc. A separate article worth highlighting cars for motocross with engines in 125cc, which were created specifically for ambitious young drivers. It is worth mentioning and the model Laverda-2TR, which is rightfully considered one of the most expensive road motorcycles for those times. In 1951, in the debut year of participating in the Milan-Taranto race, the 75cc Laverda took fourth, fifth, sixth and tenth place in their class, fighting on equal terms with the motorcycles Ducati and Moto Guzzi (Manuals pages).